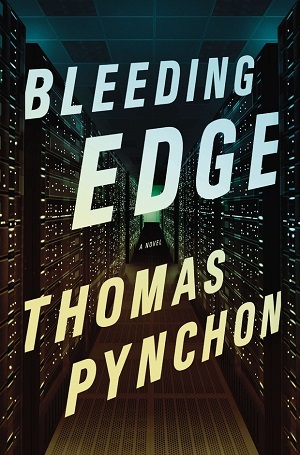 Added my review of Thomas Pynchon’s Bleeding Edge over at Good Reports. Pynchon is one of those all-too-common older writers who has just been living off past glories for decades now. He’s managed his brand well by cultivating a persona as a media recluse, long past the point where I think anyone would care if he “came out.” But his recent novels just go over the same themes, and they’re not well written at all. I guess some people get a pleasant retro buzz out of them (witness the new movie coming out of Inherent Vice), but I can’t think of any evidence from the past twenty years of him improving. Why is it that we allow artists, and in particular authors, to get by for so long on reputation alone? Is it a lack of critical confidence? A deference to the cult of “genius”? Pynchon isn’t the most egregious example I can think of. Don DeLillo is probably worse. Haruki Murakami has been embarrassing himself for years. Cormac McCarthy is pretty awful now too. But it seems as if writers are given a lifetime pass if they’ve ever done anything good. In what other profession does that happen?